We welcome you with Kyoto's course meal, called "Kyoto- Kaiseki" containing a lot of Kyoto original vegetables and seafood cooked with the expertise of the culinarian. We have chosen the best ingredients and serving dishes to present you the authentic taste. 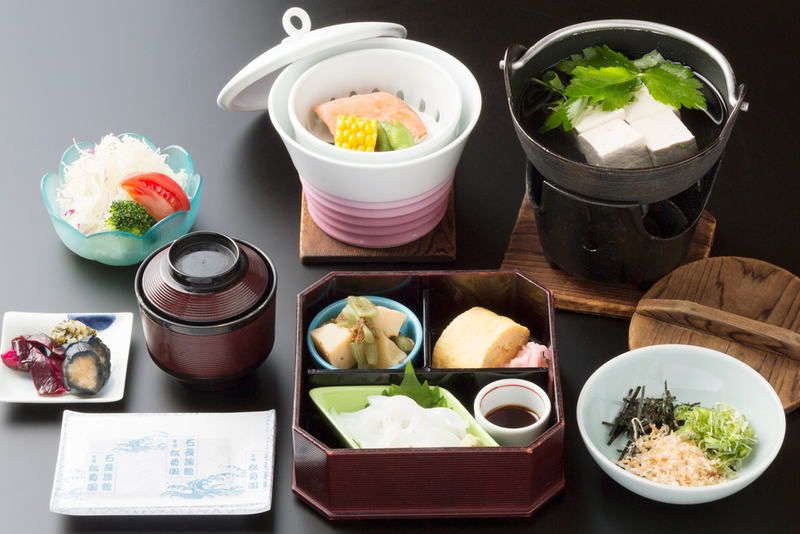 Japanese style breakfast or Western style breakfast are available. The content may vary during the year as we use seasonal ingredients. All prices shown include consumption tax. Please make your dinner and breakfast reservations up to 3 days before your check-in date. We ask that all diners within the same group order the same course to ensure an optimal dining experience. 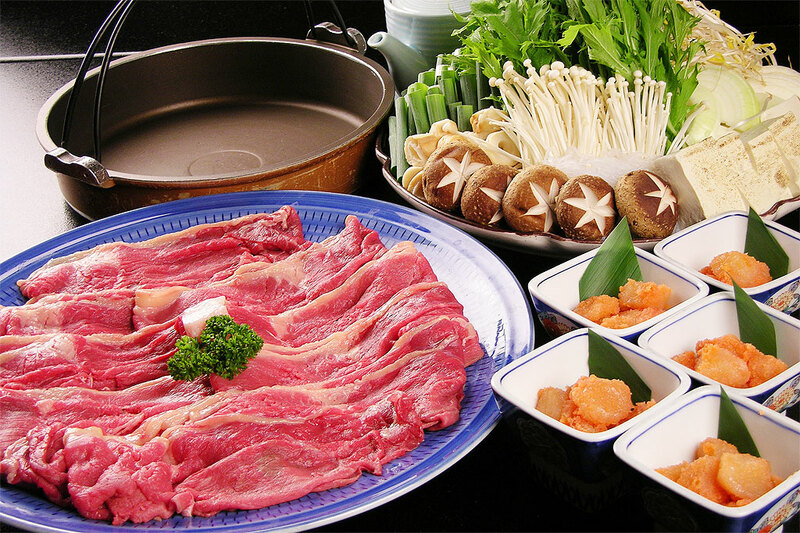 For example: A group of five guests cannot order 1 Miyabi course, 2 Kamogawa courses, and 2 Sukiyaki courses. For dinner, you can enjoy our Kaiseki course dinner in the room, using the seasonal Kyoto vegetables. 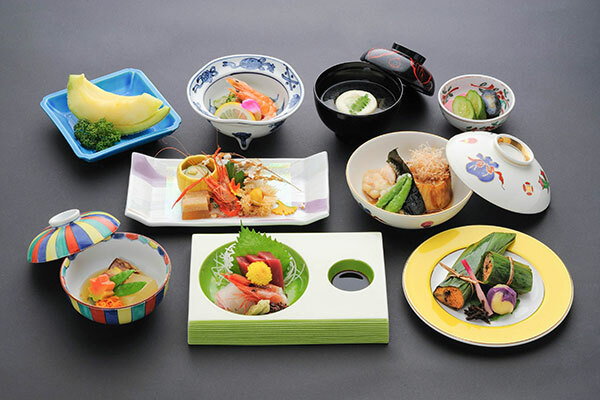 The word "kaiseki" means the Japanese Haute Cuisine. 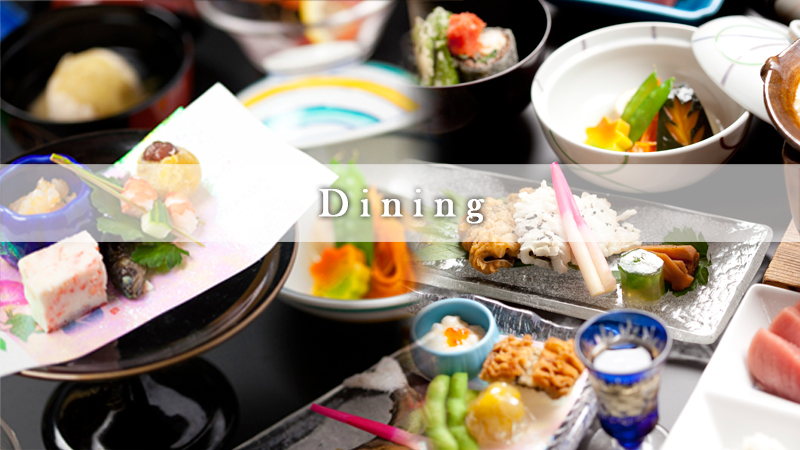 With the Miyabi plan, you will be able to enjoy all the delights of the Kyoto's soul. The word "kaiseki" means the Japanese Haute Cuisine. The Higashiayama course will allow you to taste the Japanese gastronomy and to discover new lands with all the delicacies we will serve you. 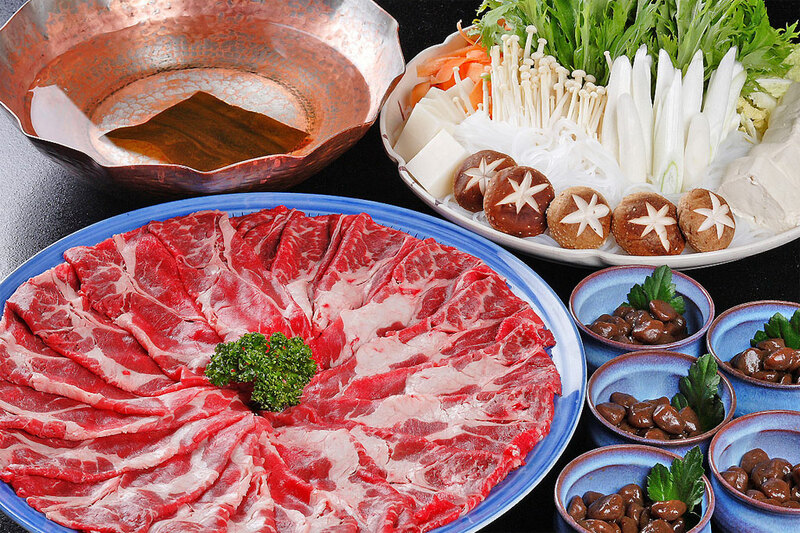 Japanese dish with beef, vegetables stewed in a hot pot. It tastes quite sweet. The picture shows a plan for 5 persons. Japanese dish with beef, vegetables stewed in a hot pot. Less sweet than the Sukiyaki. Cold Rei Shabu for summer. A breakfast with Japanese dishes. Served from 7:00 to 8:30 am. Served in buffet-style or as a breakfast set. The guests will not be able to choose the venue and set/buffet style of the breakfast. Please let us know your likes, dislikes, and food allergies in advance so we can accommodate your request as far as possible. Please inquire about assistance for the handicapped and elderly. Please also inform us of any food allergies.